Mr. Preece and his pupils outside the school at the turn of the century. 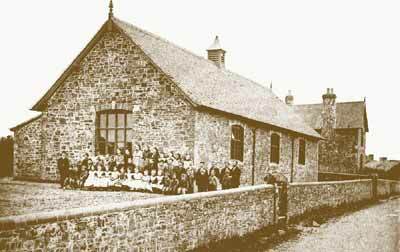 Bradworthy has had a church since before the Domesday book, a school since 1872, and a village hall since 1961. Bradworthy formed a parish council in 1894, and has had a seat on the district council since 1897 (shortly to be merged with Hartland).